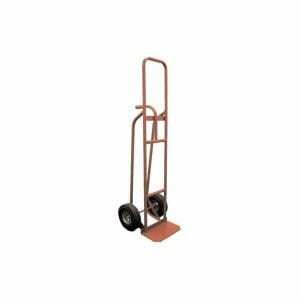 Hand trucks are one of the earliest forms of transport for supplies. They have evolved into the sophisticated tools of today thru much feedback from those who use them on a daily basis. Mighty Lifts line of steel and aluminum combine the design elements most favored by most people in the warehouse or delivery route industry. Your choice between steel and aluminum has to do with the application (what is being moved and where), who is operating the truck and cost. Steel is less costly and very strong but it’s weight becomes a liability if it is moved to several locations throughout the day. Aluminum is more costly, but because it’s components are replaceable, you only buy the complete truck one time. 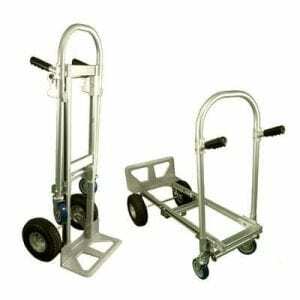 Either way, Mighty Lift is a great answer to your material handling needs.